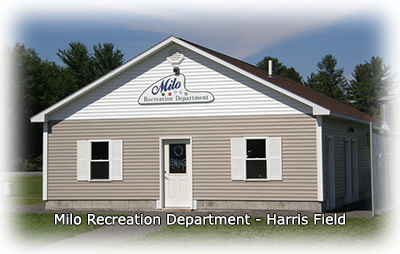 Brownville and Milo have municipally funded Recreation Departments headed by a Recreation Director. Historically the department directors have collaborated to provide maximum opportunities for recreation for people of all ages in their respective communities with a special attention to youth. Both departments are supported by volunteers who generously contribute their time and their hard work to help provide the enrichment of community living that is recreation. Recreation Department activities are open to the public and residency is not a requirement for participation. Some activities are at no cost. For others there is a charge and the cost to participate is shown. If there is any question about registration or cost, please, contact the respective Recreation Director. Enjoy a night of fun, games, and a sleepover at the field. Bring your tent and sleeping bag! If you don't have a tent, reserve one with the Rec. Department for $5. 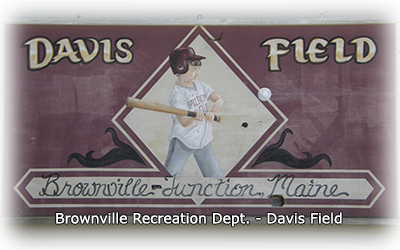 Summer Recreation Activities by the Brownville Rec. Dept. Bring a partner and play as a team! Bring something white to dye! Bring something to dry off after! Notes: Tennis lessons will be taught by retired Penquis tennis coach, Russell Carey. Ages 9-12 at 10-11 AM. Notes: Proceeds from this tournament will benefit the freshman class and the Devon Strout Memorial Scholarship. This tournament will be an Eight team 1 pitch tourney, 7 guys & 3 gals, 3 homeruns per game then a double, with guys & gals balls being used. Cost $200 per team. First eight teams to send their team name and money will fill the slots for this tournament. Mail Checks to Penquis Valley Attention Jason Mills 48 Penquis Drive, Milo, Maine 04463. Please send a message with your team name so brackets can be completed. Notes: Bring a chair or blanket! Snack Shack will be open! Brought to you by Brownville Rec. Dept. Notes: Kickball by the Brownville Rec. Dept. Click More Information link for details of the events each day. Notes: Pre-registration is required. Use the More Information Link below. $300 jackpot Dinner Served/a la carte grill options. Join your friends in our clean and spacious hall for a great time playing Bingo! Notes: Pre-registration required and available at Milo Town Office or with Jessica Atkinson. Cost is $2 per person and trips are open to ages 5 through 105! Transportation will be provided by bus. Trips will include hiking and other activities. Notes: Click More Information Link for registration. Registration is open until 7/18!! Click More Information below to register. Notes: Clinic focusing on hitting and fielding.